During the winter season in Virginia, I engaged in a craft project or two to help ease the pain of not getting outdoors enough. I’m tackling a few more indoor activities now because of the longer winters in New Hampshire. 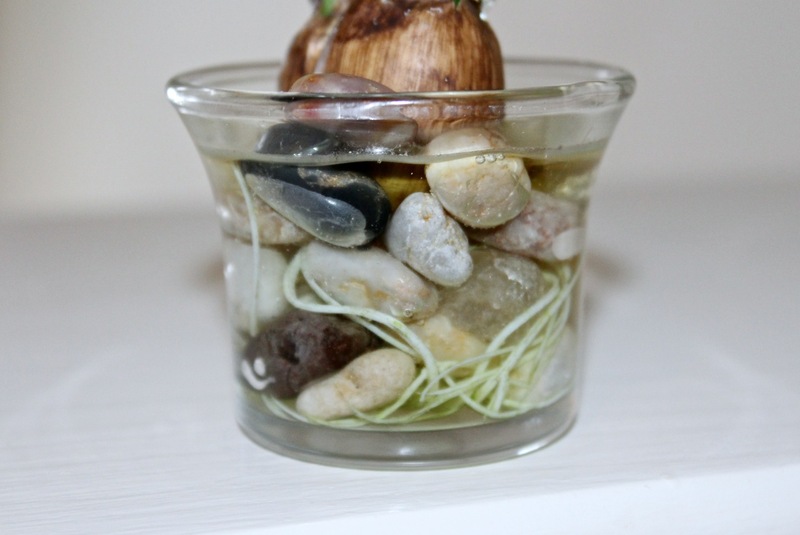 I like the look of pebbles beneath the bulb with roots and perhaps a little faux dirt still attached here and there. I search for bulbs that are on sale. 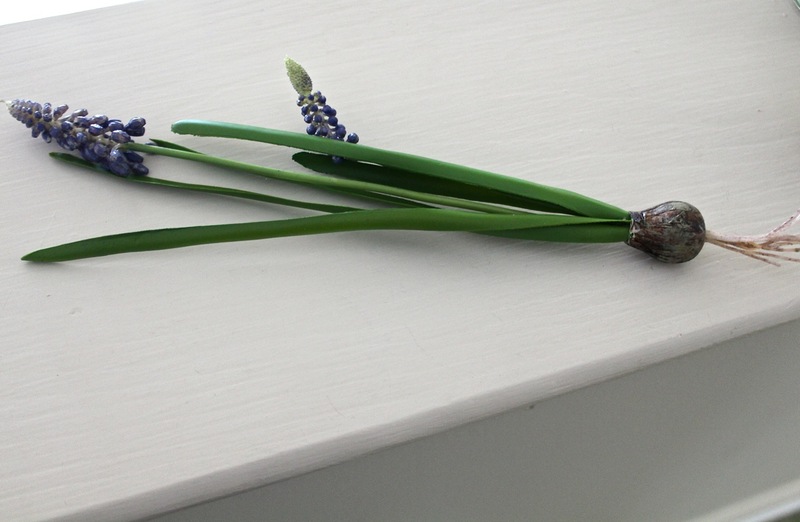 These 11″ muscari plants were under $2 each. 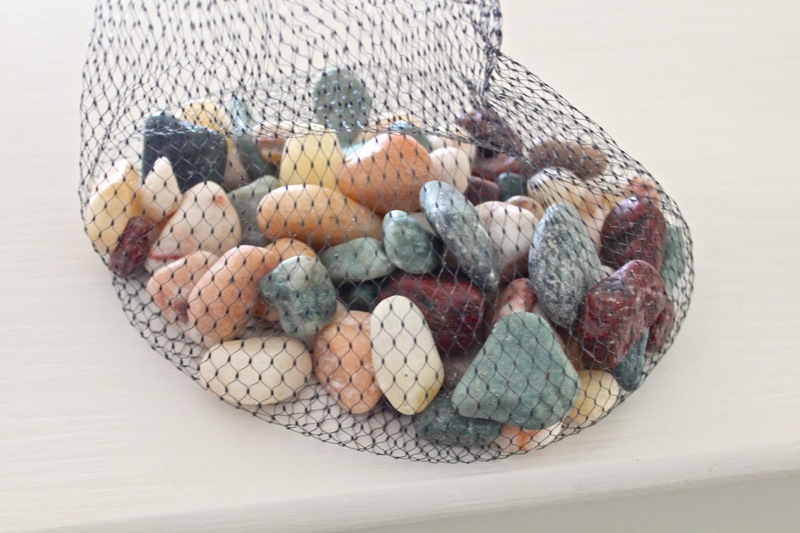 A small bag of pebbles should cost under a dollar. 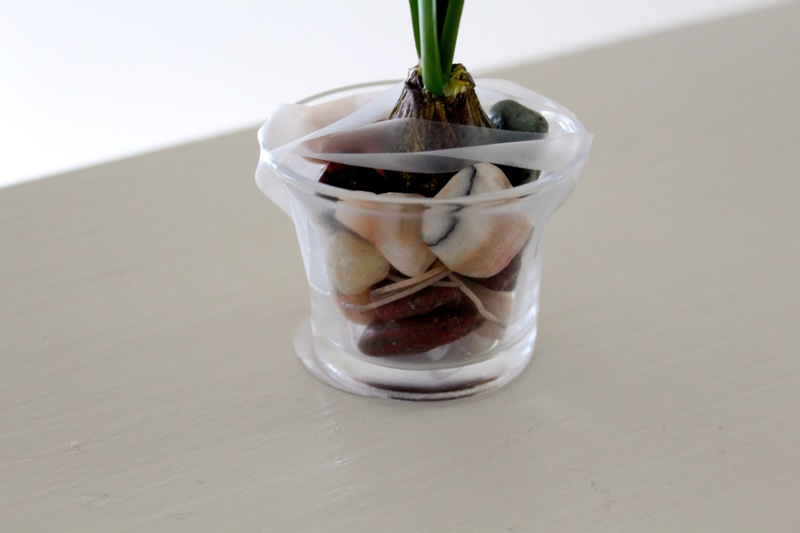 I position the plant atop the pebbles and add a couple of strips of tape to hold the bulb steady. 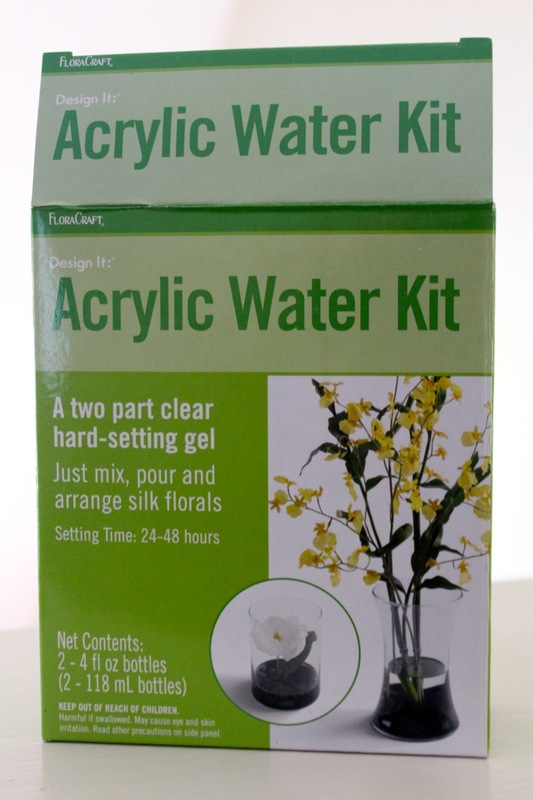 There are different faux water products, some are ready-mixed and some you must combine before using. Follow directions exactly. Pour around rocks carefully and be on guard to prevent any spillage on the side of the container or anywhere! Old newspapers beneath the project help. 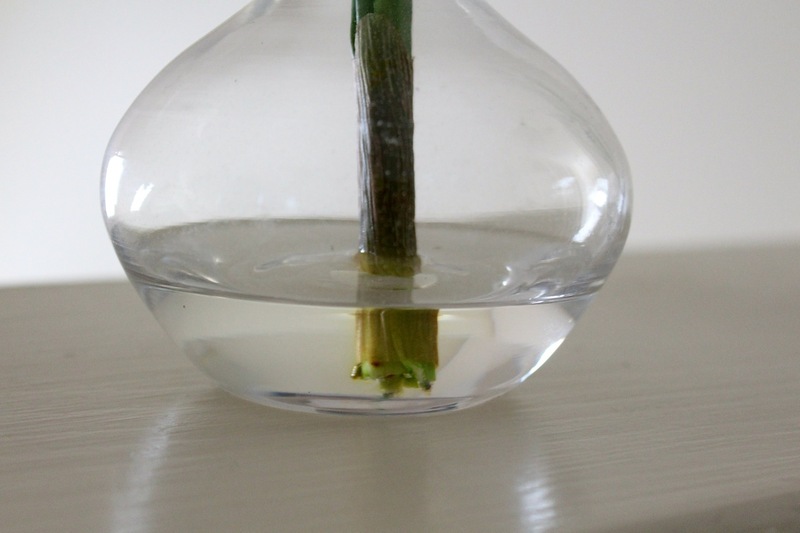 In about a day, maybe two, you’ll have your own faux touch of spring for your windowsill. This entry was posted in New Hampshire and tagged craft project, daffodil bulbs, faux water, New England, New Hampshire, winter by Annie. Bookmark the permalink. Looks like fun. Can hardly wait to make some. It’s a little more creative than shoveling snow every day! It can be essential for maintaining sanity. Right now, we have some glorious amaryllis in bloom. And the green of the daffodils and paperwhites are delightful, even before they blossom. Keep spreading the word. Or maybe hand out some pots to your friends. I’m definitely making them for my sanity and to share. 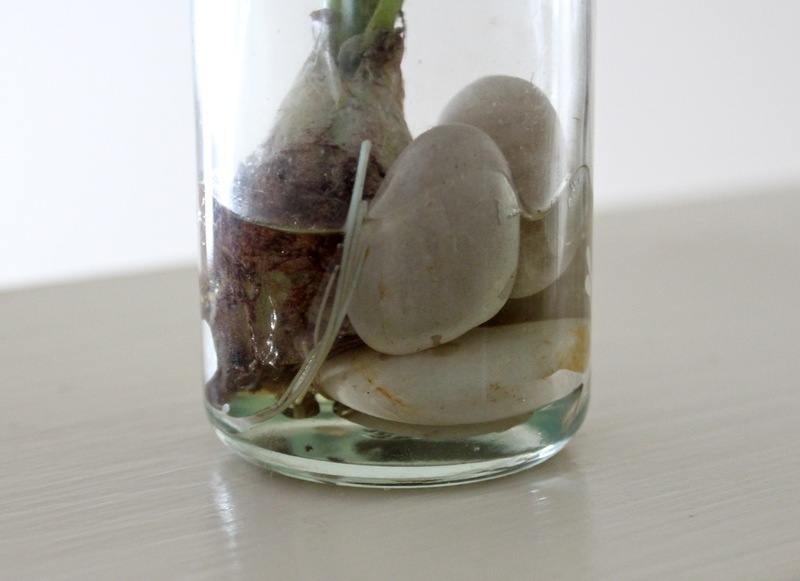 Next project: a winter terrarium!